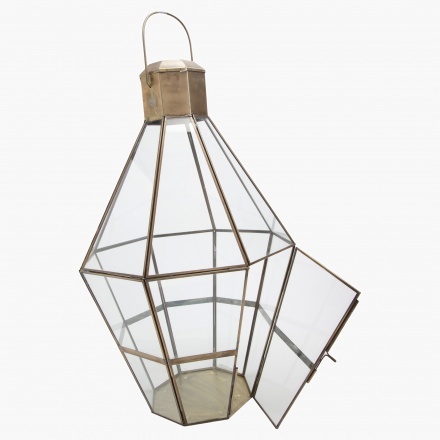 Decorate your living room in an elegant way with this good-looking lantern. 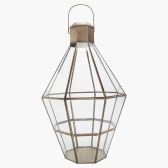 Featuring an antique finish, this lantern will blend with an background. 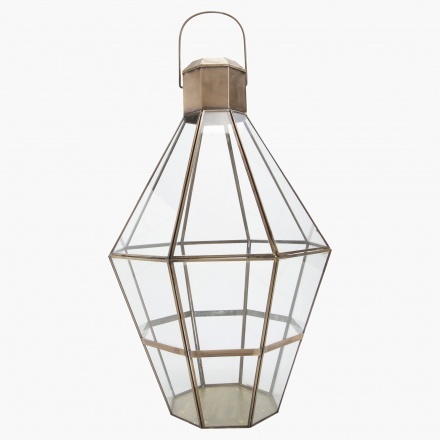 Made from glass and iron, it is durable and sports a classic styling.